The Seventh Solar Witness, Kin 200: Yellow Overtone Sun guides us today. The Analog 7.5 represents the sacred ratio of 7 Galactic Spins to every 5 Solar Spins. Kin 187 also codes one of our Community of the Cube Kin. Incidentally, today, Kali, is the only Radial Plasma not yet represented in our “441 Cube of Truth“, as Lunar Skywalker so beautifully called it. The Occult of 9.9: Red Solar Moon reiterates our Solar Moon. The G-Force, Kin 250: White Electric Dog, matches the tone and color of our PSI Kin: White Electric World-Bridger. Seal 12, Human or Sage “exemplifies Wisdom as the source of Prophecy, and Prophecy as the enactment of Wisdom.” SP Earth; Core family; Equatorial Tropics; Heart. CATALYTIC BLUE KALI; Catalyze; SP Pluto (B# 388); Secret Center Chakra: “My Name is the Glorious Lotus-Born. I Catalyze the Light-Heat Within.” Kali establishes the bond between the Sensory Quantum we completed yesterday, and the Telepathic Quantum we build the last 3 days of each week. Quetzcoatl; Kinich Ahua (Sun). Telektonon Day 25: Bolon Ik receives the power of the Fifth Force and learns to bow in submission to God, the Universal Principle of Divine Creation. She sends the telecosmic number power 5, Fifth Force–the principle of the center which animates, all things to Pacal Votan. Only twice every 13 Moon s are we able to focus on the Fifth Force number 5 on a Kin day which is toned by the Radiant Overtone 5. John Denver, the popular musician and prolific songwriter (200 songs) is another Yellow Overtone Human. Here is a beautiful video http://www.youtube.com/watch?v=35x_rwyBh-8&eurl=http://www.last.fm/music/John+Denver/_/Calypso of his song ‘Calypso“, named for the boat his friend Jacque Costeau used for his famous marine explorations. 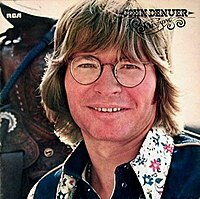 John Denver has been referred to as “The Poet for the Planet” and “Mother Nature’s Son“. John Denver ” shared many beliefs with Zen Buddhists, as well as certain Yoga spiritual masters. 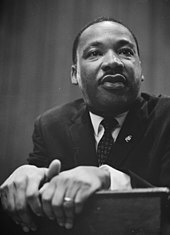 He also felt he had a connection with the indigenous people of North America.” http://www.wstar.org/ A political activist and humanitarian, John Denver co-founded the “Windstar Foundation” to promote a wholistic approach to the environment, and he also co-founded “The Hunger Project“. His songs and life work are a tribute to the values of the 13:20 Frequency, such as Peace, Community and Natural Living in Harmony with our Earth. The legacies of these two Overtone Humans continue to inspire us. This week, with an attack on a South Korean military vessel, two near simultaneous bombings of civilians in Russia, the ongoing brutalities in war zones, and the 1,000th day of Siege in Gaza, we need Peace more than ever. The last line of a film TMQ finally saw last night “Men Who Stare at Goats“, echoed that sentiment when the main protaganist said, regarding the current state of the world, ” we need Jedi Warriors now more than ever“. He was referring to Warriors of Light who have cultivated paranormal powers such as “siddhas” in order to bring Peace to our Earth. The Analog for today is Kin 108: Self-Existing Star which codes our GM108X Day-out-of-Time. The Challenge, Kin 121 (11×11) codes the inception of the Law of Time. Self-Existing Hand (7.4=Mayan for 144)) Guides us today. The G-Force is Kin 117, Red Cosmic Earth (117 = 9×13, during Moon+Year 9.13). Seal 11, Monkey (Chuen) or Magician “exemplifies Magic as the beginning of Prophecy“. SP Venus; Cardinal Family; Northern Regions; Throat. SP refers to Solar Prophetic: “Solar energy plus the future streams which must be energized into being”. GAMMA: Pacify; SP Neptune (B# 300) kra: “My Lineage is the Union of Intrinsic Awareness and the Ultimate Sphere. I Attain the Power of Peace.” Pacal Votan; Hunab Ku. The last part of the last Sensory Quantum of Solar Serpent Moon is now complete. Today we ‘Create the Triplet’ by laying the Third Line ______ (Yang; Time) on the Left Face of Codon Cube 55. GAMMA 24: Telepathic Meditation; Year of Blue Resonant Storm (2012-2013) Moon 196. Return of the Third Solar Witness: Yellow Magnetic Warrior. 3rd Mystic Moon 204: Yellow Solar Seed. Telektonon Day 24: Bolon Ik receives the telecosmic number power of Cosmic Form which is 24 (6×4). today we focus on the power of Form: 4, on a day coded by tone 4. 12 Galactic Spins ago, our world shifted on September 11, 2001. That tragic attack is still being used to justify diminished Freedom and relentless aggression which is killing and maiming millions of people. The devastating consequences upon our Earth and families and even newborns will be felt for decades to come. Just two days ago, while addressing the American military in Afghanistan, President Obama again told the troops that the 9/11/2001 tragedy was the reason they were away from their families, and killing civilians on the other side of the world. Also two days ago, a Peace March was convened in Los Angeles. Here is a video http://eclipptv.com/viewVideo.php?video_id=11026 from 9/11 Truth which shows their massive banners and contains excellent statements from people at the Peace demonstration. It appears that 9/11/2004 was being referred to in this crop circle in “Solano County, CALIFORNIA – June 17, 2004 (”bearded” wheat) A 300′ 11-circle “pictogram” style formation with an 185′ long “tail” made up of 28 evenly-spaced 6′6″ diam. circles which ended next to two high-tension electric transmission towers (extreme left, photo). This crop circle appeared 20 miles from TMQ’s home on Crystal Sun (20.12) 9 days after the Venus Transit. The Kins coding this Day and Moon add so much Love, Passion and Loyalty to Day 23, when we celebrate the reunion of the exemplifiers of the Divine Masculine (Pacal Votan) and the Divine Feminine (Bolon Ik) This particular Seli 23 Lover’s Reunion falls during the Moon (5.9) and Year (4.4) that equal 9.13, the numbers representing the 9 Bolontiku (male aspect) and the 13 Oxlahuntiki (feminine). Another Divine component is the fact that today’s Kin (10.3) added to 9.13 equals 19.3, Blue Electric Storm which coded the 5th year of the Mystery of the Stone, when we awakened the only feminine Bolontiku: Supreme Golden Maiden. The ‘mirror’ of DOG is GOD, which is the one word title for the chapter of Seal 19 Postulates. The Postulate for 19.3 is: “God is the sure Truth of the omni-directional perfection of radial order throughout all phases of the Galactic Brain, in all of it’s parallel universe possibilities and permutations.” These two postulates present plenty to ponder! The PSI Chrono Kin coding these 3 days beginning with this ‘Tower day’ at the end of the Solar Cube Journey is Kin 146: White Electric World-Bridger. Kin 146 begins the run of 10 Galactic Activation Portals that flank the return side of the 7th Mystic Column of the Tzolkin. Today’s Occult is 11.11, representing the ‘Closer of the Cycle’, Valum Votan, and the precise moment our Earth aligns with the Heart of our Galaxy on 12/21/2012. Today’s G-Force is Kin 244: Yellow Planetary Seed. Seal 10, Compassiona]te One or Divine Loyalty exemplifies the power of Love as the unconditional regard for all creatures.” SP Mercury; Polar family; North Pole; Crown chakra. SELI: Flows; SP Uranus (196); Root: “My Mother is the Ultimate Sphere. I See the Light.” Muhammad; Crystal Earth. Mentally construct the Base of the Radion Cube. On the 2nd Day of each week, we “Build the Binary“. Place the 2nd line of Codon Cube 55 upon it’s Right Face: ___ ___ (Yin; Space). SELI 23: UR 6: Inner Earth Navigation Tower of Heaven. Moon Kin 196 is fractally compressed into today, along with the 2nd Mystic Moon coded by Kin 203: Blue Galactic Night. Today we also focus on the Return of the 2nd Solar Witness: Blue Cosmic Eagle. Telektonon Day 23: 2013; Earth Uranus Time Tunnels Complete. Pacal Votan and Bolon Ik celebrate their Reunion in her Navigation Tower. Fulfill the Sounding of the Galactic Chord of the Fifth force! Enjoy Heaven on Earth! The Patron for Seli is Muhammad, who is coded by Kin 189: Resonant Moon. 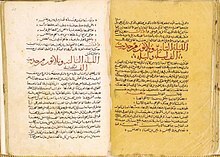 The 7:7:7:7 Telektonon Revelation notes that his Antipode is Kin 59: Resonant Storm (which codes the last year of the 13th Baktun) “Kin 59=Ur=Muhammad, the “Seal of the Prophets.” Muhammad’s great mission was to bring forth the 23-year revelation of the Holy Qur’an”. …meant to return humanity to UR”; Christ was the pure messenger of UR: Universal Religion on Earth. Kin 250: White Electric Dog codes three members of ’12:60 Royalty“: The Husband and Daughter of Queen Elizabeth II: Prince Phillip and Princess Anne (who synchronistically was discussed in the news this morning, after her recent visit to New Zealand), and Laura Bush, wife of the last American President, George W. Bush. 10.3 also codes Kofi Annan the Ghanian statesman who headed the UN), and Joseph Pulitzer Jr. the American philanthropis and founder of the Pulitzer Prize. At a rally to memorialize this milestone (100 days longer than the imfamous military seige of Leningrad) “It was described as a tyrannical siege that violates international law“. “It is not clear how to resist such a hermetic, technologically-based Siege, beyond simple survival.” Mothers describe their “living Hell” and say that “each night is like 1,000 days.” None of us are free until all are free. May the Compassionate Ones become more powerful! Kin 41 (representing the Interval of God: the difference between 20×20 and 21×21) is our Guide today. The Occult is 12.12 (inverse of 21×21) which when multiplied equals 144 (and is TMQ’s G-Force). Our Challenge is Lunar Storm (Kin 119) and the G-Force for today is Blue Resonant Monkey, representing the Resonant Monkey Moon of Attunement. The PSI coding Moon 9, day 22 is Kin 185, Stephanie South’s Galactic Signature. Seal 9, Moon or Healer “exemplifies healing as the source of love and is the guardian of the universal water that nurtures and sustains all beings.” GK Mercury (B# 4); Gateway Family; South Pole; Root chakra. Seal 9 is the last of the G-=k (Galactic Karmic) Planets. Tomorrow, Seal 10 begins the Solar-Prophetic flow. DALI: Target; SP Saturn (100); Crown: “My Father is intrinsic Awareness. I Feel the Heat.” Christ; Omni-Galactic Source. Today we begin’ building’ the Week Four Unified Field Time Atom by making the 1st of the 3-part Sensory Quantum. Week Four: Inner Heptagonon of Mind. The 144,000 Cubed Within. Each day this week corresponds to one of the Last 7 Moons of the 13th BaktunMoon (each coded by a Solar Witness) , and we also telepathically connect to one of the Seven Mystic Moons of 2013. The Moon between these two sets of 7 is the Rhythmic Dragon Moon that contains the 12/21/2012 Solstice on Blue Crystal Hand. Telektonon Day 22: The Warrior’s Cube of Intelligence Complete. “2012: Pacal Votan’s promise of 13 baktuns fulfilled by the power of the 9 Lords of Time. Bolon ik’s pledge of love realized. Telepathic redemption of the lost planets becomes source of never-ending victory”. Cube Sixteen: Intelligence Bolon Ik’s 9th Weaving: New Jerusalem as the Crown of Divine Intelligence worn by every Human. “By my instinctual conscious Warrior power of Intelligence, may I help bring all of Humanity to the New Jerusalem of Universal life.” “By the power of the Cube, may Peace Prevail” The Community of the Cube now has a Yellow Galactic Seed to further our connection with our Galactic Synchronization on 7/26/2013 . This Earth Wizard coded by Kin 164 (ALPHA; Gateway; Root; (Monkey Bio-Region ?) joined us on Magnetic Star, and notes his Guide is Lamat; the Guiding Galactic Star for all :). Today we also welcome a second anchor in the Sun bio-region: Kin 52; Yellow Cosmic Human who joined us one day after her Analog of Blue Cosmic Hand. James (Galactic Seed) asked how he could contribute to The Community of the Cube. (Thank You 🙂 There will be an image of the Community of the Cube from page 179 of CHC III, “Book of the Mystery” here soon. There is so much information in Chapter 11, that it will be helpful for others to also be able to study it’s content, and help determine their input and/or ‘role’. “The new community will model the perfect squaring of the circle“. The circle is the circle of the Solar Ring our Earth makes in its 365 day journey around the Sun. “The new community is a telepathic, mentally sustaining squared circle maintained through interaction of the five Earth families in their daily five-day (chromatic) sequences.” “Everyone will be involved in one of four processes: Creation, Ascention, Synchronization and the Cube itself.” “There is also a Fifth Force organizing factor and everyone is a part of the universal plan of unification, coordinated by a central organizing channel.” Imagine this as a larger fractal of the 5-part Daily Oracle. Your participation in this ‘evolving project’ (pun intended) is greatly appreciated! Today begins the final wavespell of Galactic Spin 32: Yellow Star Wavespell Twenty: Power of Elegance. We remain in synch with the PSI Chrono Kin, Kin 183: Magnetic Night matching the tone and Earth family of Magnetic Star. Magnetic Mirror is today’s Challenge, and Self-Existing Mirror is Kin 248’s G-Force. The Occult power for today is 13.13: Kin 169: Red Cosmic Skywalker. Solar Silio 21 is always The Mystery Queen’s ‘Solar-Galactic Return’. That means her Solar Birthday was 260 days ago on Yellow Magnetic Star. 4 years ago today, on Kin 88: Yellow Planetary Star, TMQ had her first meeting alone with Valum Votan and Stephanie South, during which Votan announced his intention for them to also move to New Zealand. Exactly one year later, when Valum Votan called from Queenstown, New Zealand, to note her Spectral Skywalker ‘Solar-Galactic Return’, TMQ finally understood what a Solar-Galactic Return was. (At that time she was living in the heart of the South Island, at her house she had named Lamat Home (=88), with the Lamat Star painted on her front door.) The Solar-Galactic Return for each 13 Moon Year is always on Planetary 9 (April 12). In 16 days, it will be Kin 4, which codes this Yellow Self-Existing Seed year. Seal 8: Star a.k.a. Artist is the master builder and “exemplifies the resonant power of art as the beginning of Love.” GK Venus (B# 7); Signal family; Southern Regions; Solar Plexus. SILIO: Discharge; GK Mars (B# 16); Heart: “My Country is the Unborn Ultimate Sphere. I Release the Double-Extended Electron at the South Pole.” Buddha; Pleaides. Infuse the Heart of the Radion Cube and Codon Cube 51 with your Spirit. Visualize the Radion (Heptagonon of mind) Cube around your Codon Cube. Next, place your visualization of the Blue Occult Telepathic Time atom vertically with in the Radion Cube over the Radion Cube, with your self in the Heart center. Discharge all to the Heart center of the Earth. From the central point, where the Time Atom, the Silio Seal and Rune 51 meet, DISCHARGE and RADIATE Love, Wisdom and Healing. Meditate the Circumpolar rainbow Bridge: http://www.lawoftime.org/timeshipearth/rainbowmeditation.html SILIO 21: Victory Discharges Mystery of the Stone, Year 7AD 2010-2011 Overtone Wizard. Occult Aphasic Discharged. Seal Bolontiku stage 7: Single Wing Red Fire. “Cube(s) Discharged into the Center (Heart) of the Earth”. Telektonon Day 21: New Heaven-New Earth 2000-2011: Establishment of the Noosphere as the kingdom of Heaven on Earth—Humanity attains full 4th-dimensional understanding, return to nature and the original garden, planetary Cosmic consciousness and Galactic memory. This Silio 21 ends the Solar Eagle Occult quarter of the Solar Serpent Moon, Codon 51: Telepathy Arouses Energy of Space and Heptad 35. Kin 35 is Solar Eagle! The synchronistic connections between the Eagle of Vision (whose Wavespell ended at Midnight) and Codon 51’s Telepathy strengthens this 8th Weaving. Telepathy is also growing through our manifestation of the Community of the Cube. Today we complete the spectrum of Earth families with the addition of Planetary Serpent Moi’s son who is 11.11, Spectral Monkey (like Valum Votan) who is a LIMI member of the Cardinal family, also in the Monkey region of our Planet’s Holon. Welcome! Now that the Throat Chakra is present, more Kin seem to be finding their voice. Check out the wonderful comments. We wish a happy Galactic Birthday to Blue Cosmic Hand (yesterday) and his daughter, a Yellow Magnetic Star who joined our Community of the Cube on her Galactic Birthday today! They anchor the Eagle Bio-Region. Now that we have at least one Kin from each Earth Family, let’s determine if each Radial Plasma is represented. Another Magnetic Star is Swami Muktananda, the Indian Hindu guru/founder of Siddha Yoga. This website http://www.siddhayoga.org/guru-muktananda-baba.html about him can inspire us, and also remind us that it is necessary to cultivate the magical-seeming powers of Siddha Yoga on behalf of our Earth. Kin 248 codes a man credited with ending the cold war, bringing a greater state of Peace and stability of our planet: Mikhail Gorbachev, former Russian Premier, and the architect of Glasnost and the end of the Cold War. *Today marks the final 1,000 days before the long-prophesied Solstice on 12/21/2012. 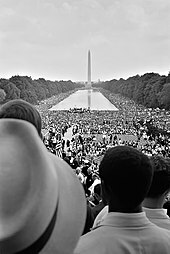 http://www.lawoftime.org/home.html Valum Votan writes that today begins the most momentous 1,000 days of the 5,125 years of History that end on that Solstice. “For the Foundation for the Law of Time, 2012 marks the completion of the preliminary stage of its mission.” “by July 26, 2013 (our Galactic Synchronization), there will be no more Gregorian calendar and the 13:20 timing frequency of universal synchronization will have supplanted altogether the 12:60 timing frequency which had dominated the global civilization much of the past 5000 years. Postulate 7.13 states: “Galactic universal life celestial harmonics are the telepathic explorations in time, based upon a specific interplanetary event-point, which then defines the identification of specific space-points and their Time Vector potentialities. Through celestial harmonics the creative flux of the galactic event continuum can be entered, expanding the creative comprehension and scope of the Synchronic order.” Which interplanetary event-points come to mind? Today is also the 13th day of the 19th Wavespell. PSI Chrono Kin which always codes Day 20 of Moon 9 is Kin 182: White Cosmic Wind. That Cosmic Kin of Communication and Spirit codes 1/3 of the Galactic Synchronization Crew 154 who contributed so much during our Galactic Cube Journey. 🙂 Today’s Guide is Kin 91 (inverse of 19), Cosmic Monkey, the seal that codes the Bio-region containing the most respondants for the Community of the Cube. The G-Force for today is Red Magnetic Dragon, Kin 1 which begins the Tzolkin. This is a numerical confirmation of 13 and 19 as the culminating Tone and Seal. Seal 7, Hand a.k.a. Avatar ‘exemplifies Cosmic Knowledge’. GK Earth (B# 10); Core family; Equatorial Regions; Heart Chakra. LIMI: Purify; SP Maldek; Solar Plexus: “I Consume Dualistic Thoughts as Food. I Purify the Mental Electron at the North Pole.” Padmasambhava; AA Midway Station. Mentally construct the Left Side of the Radion Cube. Complete the 6th line of Codon Cube 51, by envisioning this: ___ ___ (Yin; Space) on the Top. 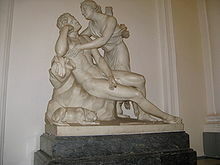 LIMI 20: Corresponds to this year (6th) of the Mystery of the Stone, which “Victory Releases“. Release Purifies and seals the 6th Bolontiku: ‘Awesome Vast Blue Sky’. Yesterday we began the final 4 days of the Solar Moon’s Cube Journey, which is coded by the 4 sacred syllables of ‘Tel-Ek-Ton-On’. Today, Cube Day 14 = “Ek“. Telektonon Day 20: Seventh Prophecy and Seal 7 Silio, coded by White Resonant Wizard. “The millenium: 7th Lost Generation: Yellow Overtone Sun (7th Solar Witness) brings on the “The Glory“: The Biosphere-Noosphere Transition. Cube Fourteen: Timelessness Bolon Ik’s 7th Weaving: “By my continuing conscious Wizard power of Timelessness, may victory discharge Prophecy of the 13 Moons way as the kingdom of Heaven on Earth.” “May universal Peace prevail!” Arabic Manuscript of “The Thousand and One Nights” dating back to the 1300s. Valum Votan’s latest article http://www.lawoftime.org/home.html was triggered by the fact that tomorrow, Yellow Magnetic Star, begins the final 1,000 days until our Harmonic Convergence in 2012. “In the ancient Mongolian calendar, 1000 days is one cycle of the universe, which can hold the force of the Eternal Blue Heaven. This number can completely decide the world protection from the disaster of mankind’s civilization“. That quote is from: Erdenechimeg Ish, The Secret of Mayan Calendar is Revealed (2010) www.originalmongol.mn Valum Votan continues: “March 27, 2010, Kin 248 Yellow Magnetic Star, Solar Moon 21, 4 Seed year, commences the 1000 day countdown to 2012. These one thousand days will be momentous like no other 1000 days in the entirety of the present historical cycle of civilization.” His words affirm our intent here:” …to assure that by 2013, a small but critical minority of humans would already have accepted and be operating by the 13 Moon harmonic standard, while being fortified by an ample knowledge of the workings of the synchronic order and the Law of Time.” Valum Votan reveals new information about what happens after 2013, which we which will discuss here tomorrow on Solar Silio 21. Several accomplished and influential people are coded by Kin 247: Blue Cosmic Hand including Nicolaus Copernicus who was the Polish astronomer who advocated the theory of a Heliocentric universe, and Margaret Mead, an American Anthropologist who studied pre-12:60 cultures. Three authors, the French novelist Honore Balzac, Frank Baum, the American Theosophist who wrote the “Wizard of Oz”, and the American author Henry Miller were all Blue Cosmic Hands. 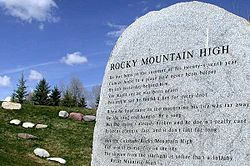 Leonard Peltier is Lakota activist and leader of American Indian Movement, although he is spending most of his life incarcerated–some say as a political prisoner. Meanwhile, Alan Greenspan the former head of the Federal Reserve Bank, shares Peltier’s Kin 247 Signature, but is his opposite in most respects. During this Solar Moon of Intent, 8 days remain to have each Seal on this wheel represented in the ‘Community of the Cube’. It is currently the Challenge watch: Red Cosmic Earth Challenge, here in New Zealand. It would take much less than 1% of the readers of this blog to achieve that modest goal for the sake of our Cosmic Evolution and our Earth‘s Biosphere. The Postulate for 6.12 states: “The sum of the liberation of psychic energy formally integrated into the Fourth-dimensional patterns of time, manifests as PAN, Planet Art Network. As the integration of celestial harmonics of mind and social order, PAN replaces the civilizational order and social form governed solely by the 12:60 mechanized laws of space.” This Postulate describes a process and function of the Community of the Cube, which PAN has been and is facilitating. The PSI Chrono Kin for Day 19 of Moon 9 is Kin 181: Red Crystal Dragon. 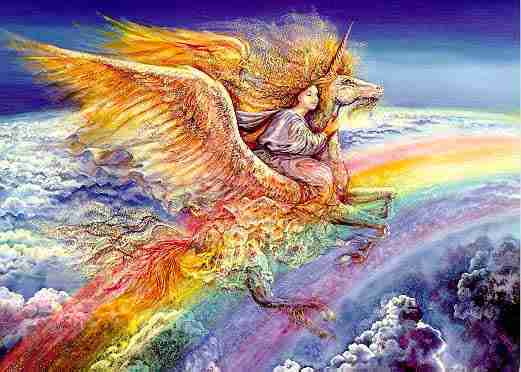 The G-Force for today is Kin 128: Yellow Spectral Star. The Mirror of 181 is 818, or 18.8, which is the G-Force of (8.11) Spectral Star. The Tomb of Pacal Votan was discovered 40 days before the end of The Mystery Queen’s 18.8 year. The Tomb of the Red Queen was discovered while TMQ was in her Spectral Star year :). ALPHA: Release; SP Mars**; Throat**: “My Country is the Unborn Ultimate Sphere. I Release the Double-Extended Electron at the South Pole.” St. John of Patmos; Sirius. Right side of Radion Cube. On Alpha, Day/Plasma 5, we “Sound the Fifth” and lay the 5th line on the Front of the Cube for Codon 51: ‘Thunder/Arousing Being’; ___ ___ (Yin; Space). ALPHA 19: Victory Releases 5th Year of the Mystery of the Stone: 2008-2008; Blue Electric Storm. Release Purifies Second Creation of Earth; and seals Bolontiku Stage 5: Supreme Golden Maiden. Cube Thirteen: Prophecy Bolon Ik’s 6th Weaving; “By my continuing conscious Skywalker Power of Prophecy, may Prophecy purify victory of the 13 Moons way as the Triumph of the Religion of Truth.” “May Peace regenerate the Biosphere!” This beautiful image evokes the Rainbow, the White Horse (as a magical Unicorn) and the Divine Feminine, all of which are elements of PROPHECY. 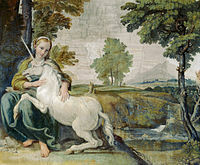 The Unicorn is discussed in Volume V, “Book of the Timespace“, and “In even the earliest references he is fierce yet good, selfless yet solitary, but always mysteriously beautiful.” “The gentle and pensive Maiden has the power to tame the unicorn, fresco, probably by Domenico Zampieri, c. 1602 (Palazzo Farnese, Rome). “The famous Uffington White Horse and a Neolithic burial chamber called Wayland’s Smithy, which dates back to 3700 B.C.” has been the site for numerous crop circles. 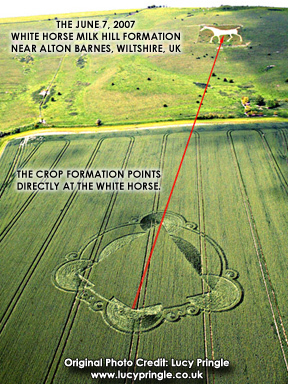 Here is a Crop Circle http://www.reptoids.com/Vault/AllNewArticles/WhiteHorseFormation.htm at another much newer (AD 1812– today’s Guide is 18.12) ‘White Horse” in Milk Hill which points directly at the White Horse. The convergence of crop circles at the two ‘White Horses’ in England seem to confirm Prophecy.